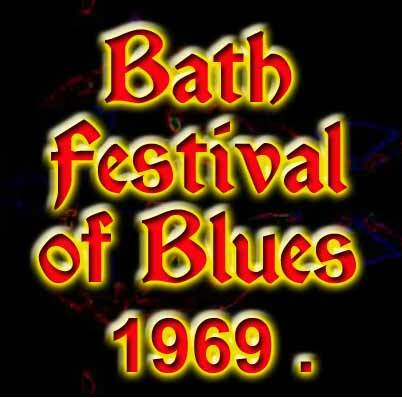 Were one of the best UK blues bands of the era. 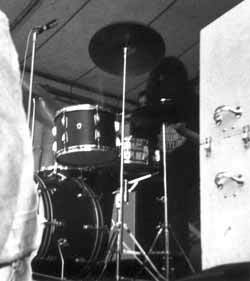 Fronted by the ubiquitous STAN WEBB , who still leads the band to the present day, they were guaranteed to go down well at a festival, as Stan was a master of the extended emotion wracked blues solo. His style was very much in the vein of Buddy Guy, but with enough originality to make Stan a notable player in his own right. This particular version of the Shack did NOT feature the very nubile Christine Perfect, who had just left the band to persue a solo career and of course was eventually to marry John McVie and go on to mega fame and fortune in Fleetwood Mac. Stan Webb - Lead and vocals. 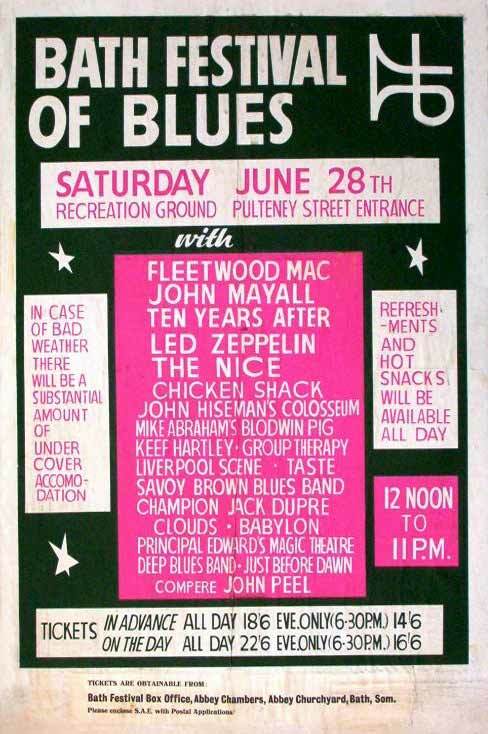 My memory of Chicken Shack was of John Peel stood there waiting to introduce them while they finished sorting themselves out. Then Stan Webb took out of his pocket a large handkerchief, so Peel announced something along the lines of "And now let's all share in this rather touching moment as Stan clears his nose". Somehow I just can't imagine that happening today. 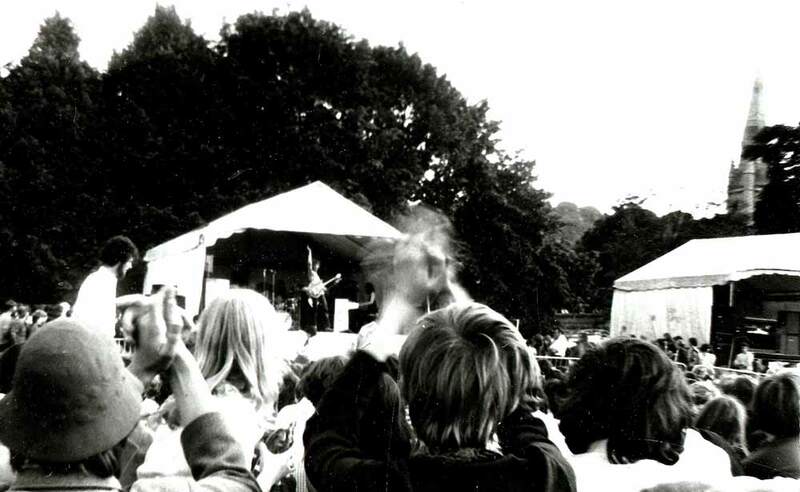 Stan Webb walked into the audience with a massive lead on his guitar and played a solo in the middle of the crowd. Stan had to be carried overhead by the crowd to get back to the stage. 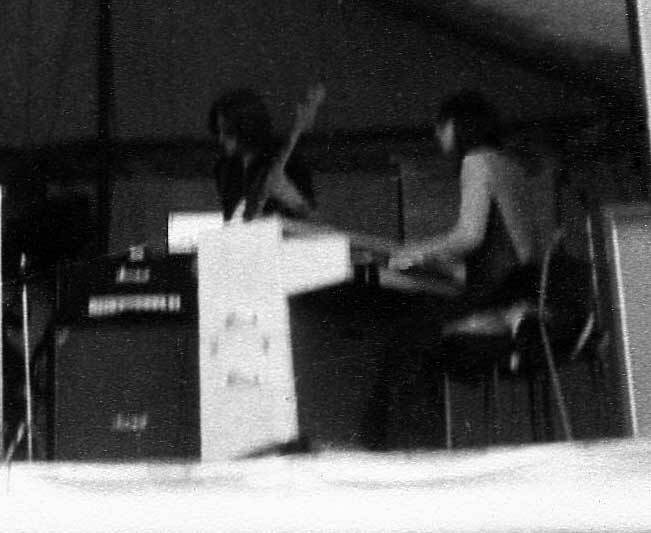 Christine Perfect played great piano with Chicken Shack and sang on "I'd rather go blind"
However, Howell Morris contradicts this memory. 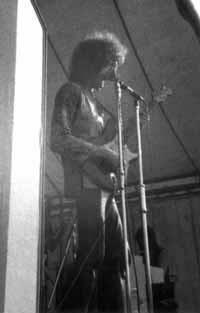 My recollection of Chicken Shack was that Christine Perfect had actually left by then and it was Paul Raymond on keyboards. And judging by the photos we have the figure on the keys looks decidely male. and watched him most of the time. 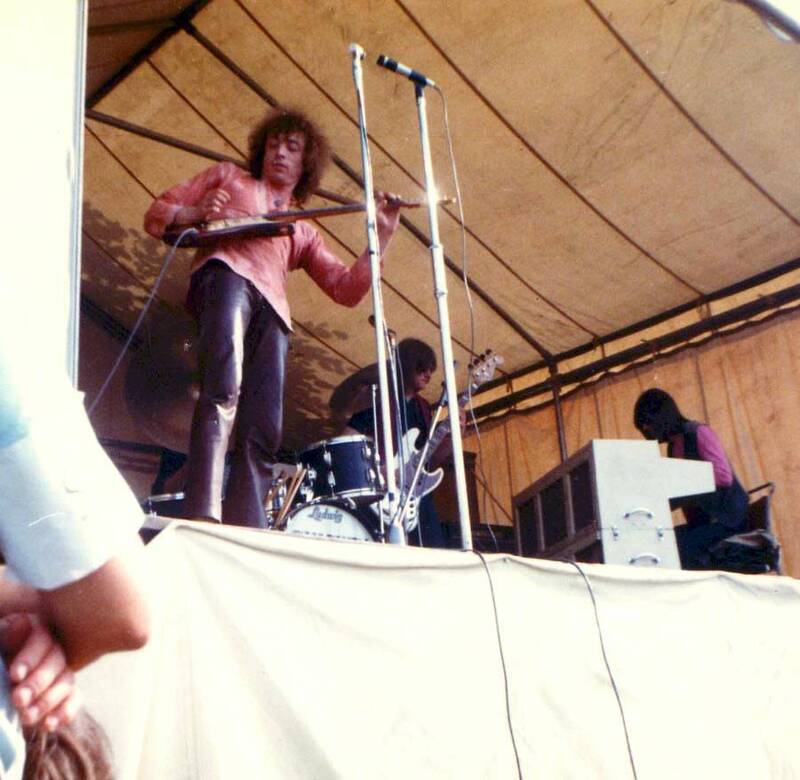 I remember vividly that Stan Webb took his guitar deep in the crowd below the stage, only to be pelted at one point by members of the crowd further back. His response was classic, made more memorable because he had the microphone, and the crowd didn't - "Will the c****s throwing chicken bones f*** off. 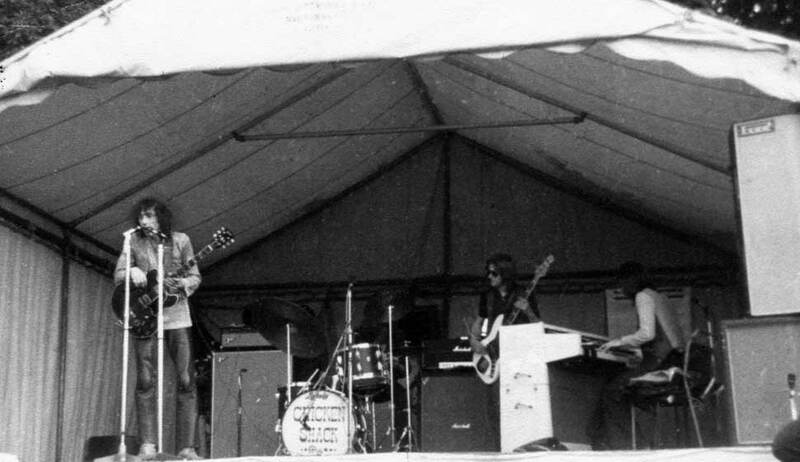 My remembrances of Chicken Shack's performance at the 8th National Blues and jazz Festival 1968. The Unofficial Chicken Shack website.